The other morning I was walking to work from the train and I could smell it in the air....fall. It was there, by God, I swear. Just the right hint of coolness, the smoky scent of leaves burning in someone's backyard, even though I was nowhere near leaves nor a backyard, and the delicious aroma of a Sierra Nevada at 11 in the morning when your favorite college football team is about to kick off. 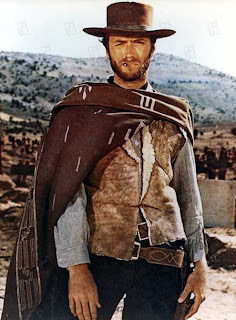 "The Good, the Bad, and the Ugly. 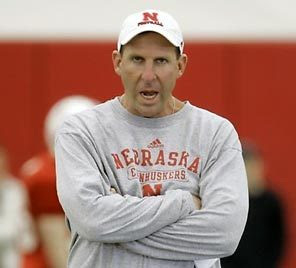 A season in football the American, directed from Bo Pelini. The Good: Ndamukong Suh. “The House of the Spear” more dominant of the line is the defensive player. The Bad: The calendar. Nebraska must travel to play its rivals to the north, Kansas, Colorado, and Missouri. The Ugly: The situation to the Nebraska before the Pelini. It is returned for restore the tradition of the Cornhuskers, not for a fist of dollars." That is - in a word - beautiful. (Say the following in an Italian accent.) The situation to the Nebraska before the Pelini. It is returned for restore the tradition of the Cornhuskers, not for a fist of dollars. God, I love that. First off, just comparing my beloved Huskers to "The Good, The Bad and The Ugly" makes me quite pleased but those last two sentences are just gorgeous. Pure poetry. This is what we needed to kick start the season, I'm tellin' ya. I felt so good about 2009 for my guys as it was but now I feel even better. Perhaps I'll have a Peroni at 6 PM September 5?